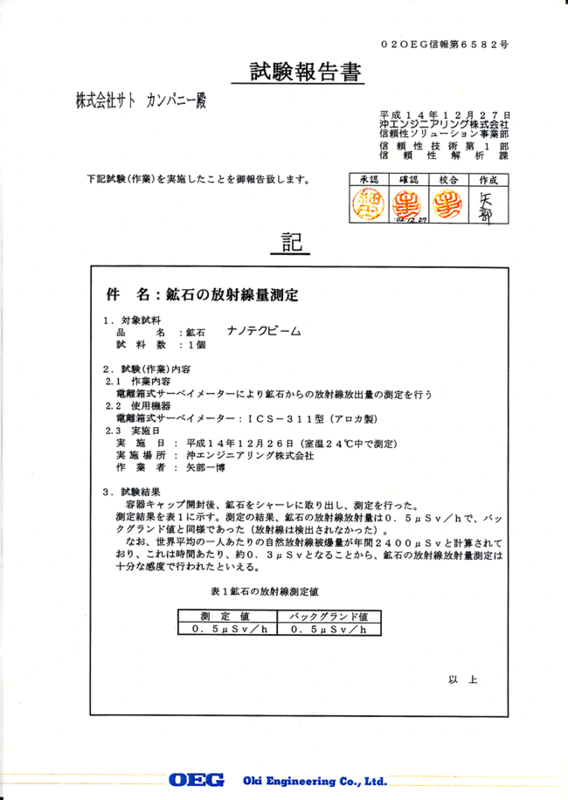 A very importatn test was done on 27th, December, 2002 at OKI Engineering Co., Ltd. They proved that minerals inside the devices includes or emit no Ionizing Radiation , and that they issued report numbered 02OEG_Turst Report 6582. Please refer to the original copy in Japanese.